Funny how we remember things and people as if they were yesterday. I was watching TV about a woman who was convicted of murdering her autistic son with violent tendencies. And it made me remember Maureen. She was a courageous woman, who suffered for love. It was hard to forget her. She lived with her son who was severely autistic. Tyrone had violent tendencies, and often took them out on people he loved. In an instant he would turn and attack others in an instant. These violent tendencies forced his father, twin sister and older son to live in another home for their own safety. Whenever possible the entire family gathered for supper. Maureen had called and asked for me to come and do an exorcism. Instead, a colleague and I went to do a house blessing, using the occasional service from the Episcopal Church. It was at that time I first saw Maureen’s “battle scars”. In these times of violence, Tyrone had torn all the curtains off the windows, and punched through walls and doors. Worst of all, was to see Maureen. She had lost all her teeth in more than one episode. She had a black eye, was healing from a broken arm, and was dealing with trying to keep her son subdued in the night. A lock often wasn’t enough. The only option for this family was to have him institutionalized. Trouble was no one wanted him. He was regularly admitted to hospital for other health concerns, and could not be trusted to injure the nurses or doctors who provided care (on more than one occasion they were attacked). So he required full time workers by his bedside for their protection. I so admired Maureen. She had the perseverance of faith that somehow, all would be well and that the Creator was always looking out for them. Often through her perseverance and persistence pushed her son’s needs through to question why he didn’t deserve a chance, to talk, to learn behaviour skills in institutions only offered in Southern Ontario. She talked to MPs and MPPs, and band chiefs and health centres and various other leaders always persisting in faith that her son was as valued as any other. Her persistence paid off. He was sent off to treatment where they focussed on his behaviour and after several years the family was reunited. Although things weren’t perfect and some days were dark and difficult, no was never an answer Maureen could accept. The last time I saw her she thanked me for all the visits and prayers I made. All I could do was thank her for teaching me so many lessons on having faith – in one another and in the loving Creator. A lesson learned on not giving up in ourselves, those around us, and most especially, on God. It’s planting time! One of my favourite times of the year. The risk of frost has now disappeared, and wildlife is emerging. As I watch nature begin to renew and re-create, I begin to make plans for the gardens – what grew well, what didn’t, and what do I want to attempt to grow? I have a purple thumb. Not a green one like my father had, or my grandfather or all my ancestors. But I can grow fruits and vegetables with a modest yield at harvest time. This is the time I feel closest to God and to creation. Maybe it’s because of the anticipation of the harvest. Maybe it’s because of the hope and promise this time affords us of the harvest yet to come. Whatever it is, not only do I feel close to God, but to all of creation. As I write this a healthy male red-headed woodpecker searches for bugs under the barks of trees after a fresh rain. I hear the return of the whippoorwill shoes voice had all but disappeared from this part of the valley. Yes, God’s paintbrush and sound systems are all around me, and I praise God everytime I hear and see a new member of the choir. Not only do I feel close to the community living in this little part of God’s world, but I also feel like I am part of the great cloud of witnesses who worked the land and passed on their secrets for success on down to my dad and my siblings and me. Their dedication and devotion to family, faith and the land are what I know I am a part of. We heard the stories of my grandfather and great grandfather ploughing, planting and working the land before digging up soil for their new church location. When we are surrounded by this community, it is easy to feel so connected to our fellow gardeners and farmers around the world. A priest who served in Ghana for so many years would write about the people beginning their planting season with so much prayer and hope of the promise of an end to their ongoing drought and famine. Even when the harvest brought less each year, they continued to give thanks to God for all they had received, even when it was so small. And locally, when others suffer from too much or too little rain, sun or heat, I share with them in their struggles. I am a natural gardener – only natural compost goes on the garden with water and letting nature take its course. 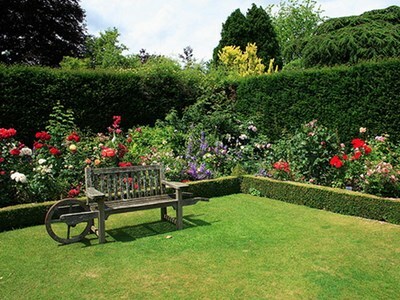 In fact, I garden like my grandfather and his father did – there was never any money to try anything new. I am also learning, perhaps more slowly than I should, about companion planting – mixing some plants and flowers together to prevent unwanted pests. This I admit is a work in progress. There is a form of prayer almost as ancient as the practice of agriculture: rogare. This is a liturgy that means prayer and supplication, a time when prayers are given to God for a good harvest and for those who help to bring us that good harvest. Once it was fixed, but now we know that this date must suit the time when the full moon and the threat of frost disappears depending on where we live. Hence, instead of holding Rogation Days between the Fifth and Sixth Sundays of Easter, they could be as early as Easter or as late as Pentecost. Nevertheless, we should not lose this ancient practice. We send prayers of hope in creation for plenty of food, and an end to famine in other places, but we do not know what our harvest will bring. One year, we, too, suffered a dry summer, and we had an abundance of garlic and onions – crops that prefer dry conditions. No matter what, there is still plenty for which to give thanks to God. Whether or not you like to grow vegetables or just enjoy them at harvest time, may you remember to give thanks for all that God and creation may provide. Happy Rogation Days, from me to you. Central to that relationship is knowing we can trust God. Saint Paul says at the end of the eighth chapter of his letter to the Church in Rome, ‘if God is for us, who can be against us?’ And this is the heart of faith. The world is in turmoil around us. There are threats everyday to our physical bodies, and our individual and national security. We are constantly pulled in several directions: people are crying for jobs or places to gain experience, our ever changing environment constantly requires us to adapt to a new climate and lifestyle. The poor get poorer, the need to quench our thirst for more “stuff” seems to be the only driving force for many people. In fact, for many people, the only life they know is one of uncertainty and chaos. Yet that is not the message of the reign of God, nor is it the message of the kingdom builders – us. Even so, our ministries of serving God can wear thin on us, and we need to rely on the One who calls us to serve. We must remember that God loves us and invites us to provide and share a world of love for others. The challenge for us, at times, is how do we do it? How do we find the time, the energy and the strength to love and serve others in our community, near and far? We begin with the Scriptures. 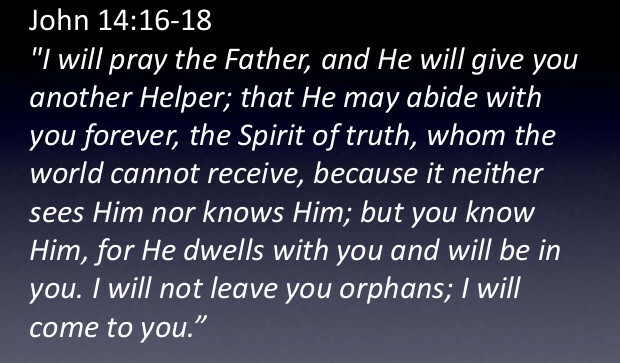 Many times before Jesus taught or performed miracles he would pray first. His relationship with others was grounded in his relationship with God. He was God among us, inviting us to times of peace and quiet before the storm of life. We can live by the example that Jesus gave us. In a world where life is so busy and we barely have time to breathe, we are invited into a time of silence and peace each and every day. It is not when our heads hit the pillows, however. It is found when we find that time alone with God, and are welcome in our Lord’s presence. Contemplative prayer does just that. It affords us that time to invite God into our lives. As we seek and find the silence, God welcomes us into a new and exciting relationship. This form of prayer originated in Christ but was revived by the Monastic era. The unity one feels with God through a deeper time of silence with God gives us the courage we need to continue loving others in ways we didn’t know we could. It may seem strange that opening our hearts and minds to God might do this. The only way we truly know whether this is true or not is by practicing this ancient skill ourselves. In one week we will begin Holy Week. During this time, come to the liturgies where there are opportunities for silence and reflection. Let the quietness of our minds be filled with God’s love for ourselves, our faith community and our neighbours. And when the resurrection of Christ is celebrated Easter Day, we can peacefully, and calmly rejoice to the highest heavens. Thank you for visiting the website of Emmanuel Anglican Church. We are glad you are here and we invite you to join us. We hope to meet your spiritual needs and to offer an experience of worship, community, pastoral care and service that speaks to God’s world today. Our congregation worships in the original building, begun in 1869, which is the oldest church in Arnprior. The title of the parish, “Emmanuel” is the name given to Jesus in St. Matthew’s Gospel, which means “God With Us”. We are an inclusive community, open to everyone. 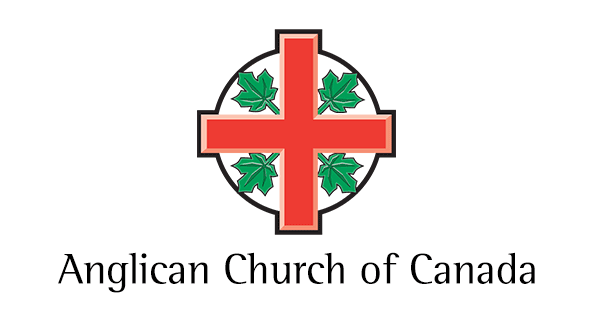 All are welcome to share in Communion in the Anglican Church. This website provides information about our parish and a variety of subjects, including Christianity, Anglicanism, Scripture, and much more. There is a list of links to other sites. You are invited spend time here and please feel free to contact us with any questions. For updated, current information about our worship, ministry, and activities as well as coming events and parish announcements, please view the Sunday leaflets page. We wish you every blessing.